Sanya ss Grab Bar, Size/Dimensions: 9" 12" 15" 18"
Sanya ss ग्रैब बार साइज़: आयाम: 9" 12" 15" 18"
Size/Dimensions: 9" 12" 15" 18"
This Grab Bar made with stainless steel will bring relaxed elegance to your bath. 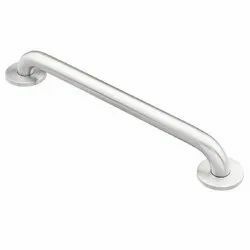 To serve the requisite requirements of our precious customers, we are engaged in providing a qualitative range of Brass Grab Bar. tapsa Grab Bar 100% Brass, Size/dimensions: 10", 12"15"18"
tapsa ग्रैब बार 100% पीतल, साइज़ / आयाम: 10 ", 12" 15 "18"
Starting Range: Rs.150 to 500. 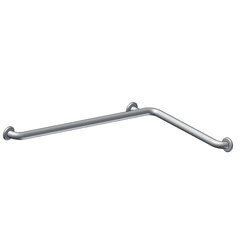 Grab Bar are available in 300mm to 750mm size with load bearing capacity of upto 400 kgs.Highly usage and recommended for Disable people, they provide much needed support to move in bathrooms.With SS 304 Grade they are corrosion free so as to maintain higher life and finish.